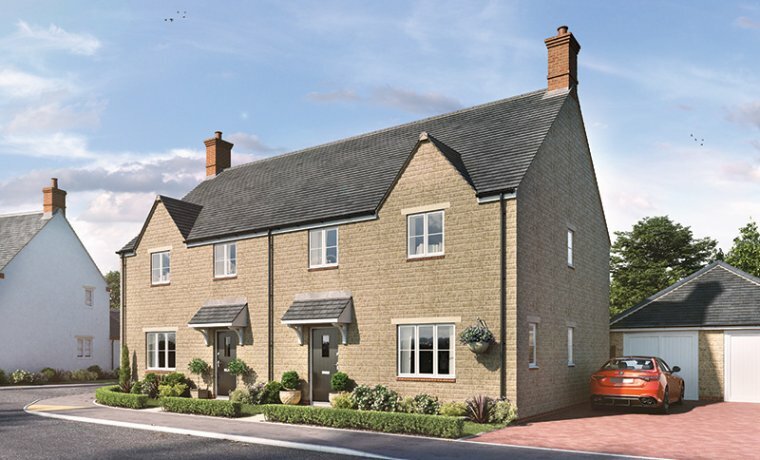 The North Oxfordshire village of Tackley lies in the Cherwell Valley, 8 miles North of Oxford and just 3 miles from the town of Woodstock. 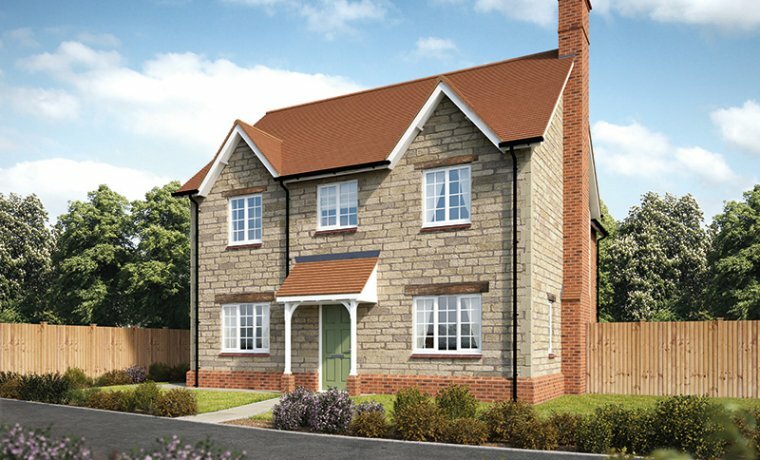 In an elevated setting, in beautiful Tackley, is our latest collection of brand new 3 and 4 bedroom semi-detached and detached homes. 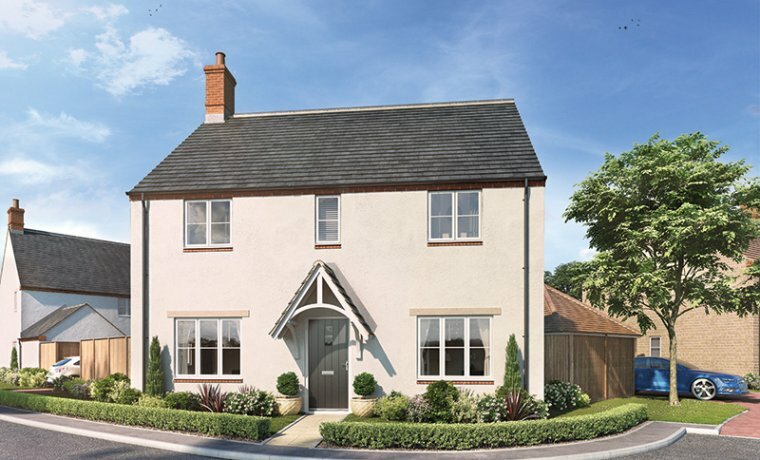 With a choice of ten different house-type designs, whether you are moving up or down the property ladder, you’ll find the home for you at Cherwell Rise. 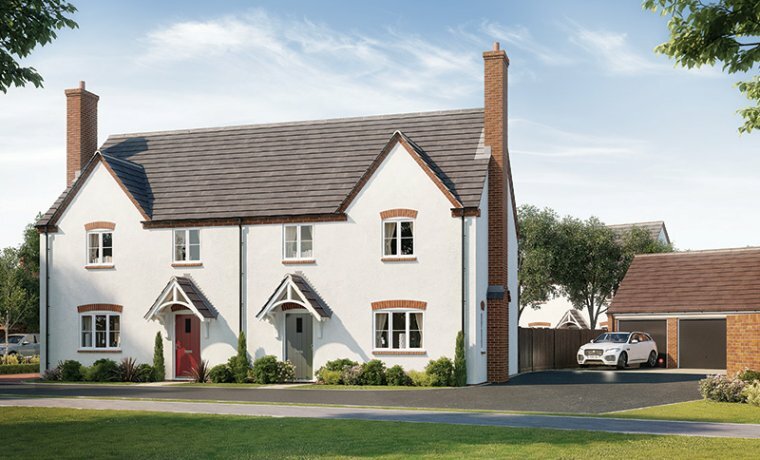 All homes feature a garage plus additional off-road parking and are planned around quiet cul-de-sacs with mature trees and beautiful green open space to the north of the development. 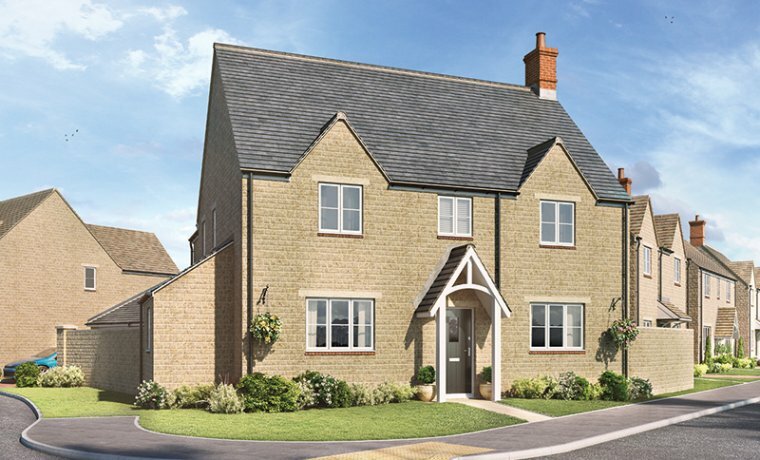 Tackley is tucked away on the edge of the Cherwell Valley, part of the picturesque Oxfordshire Cotswolds. The River Cherwell, popular with canal boats and anglers, runs around the village on its way down to Oxford to meet the River Thames. In the heart of the community lies the Village Hall and Shop, selling groceries, locally grown produce, fresh bread and everyday essentials. The Tackley Church of England Primary school caters for children aged from 5 to 11 years and is an easy 5 minute walk from home. The village has its own mainline station with trains running from Banbury to Oxford and beyond. A new footpath will give access to the station in under 5 minutes. 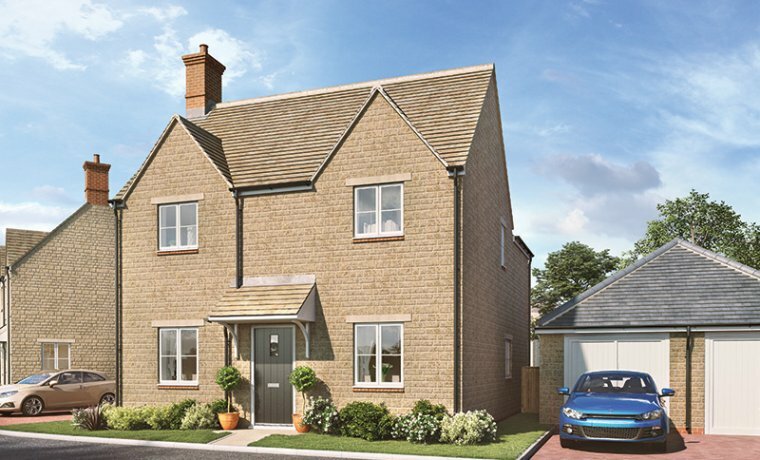 From there, you can be in the city centre of Oxford in 9 minutes, Bicester Village for designer shopping in 32 minutes or into London Paddington in 1 hour 17 minutes. 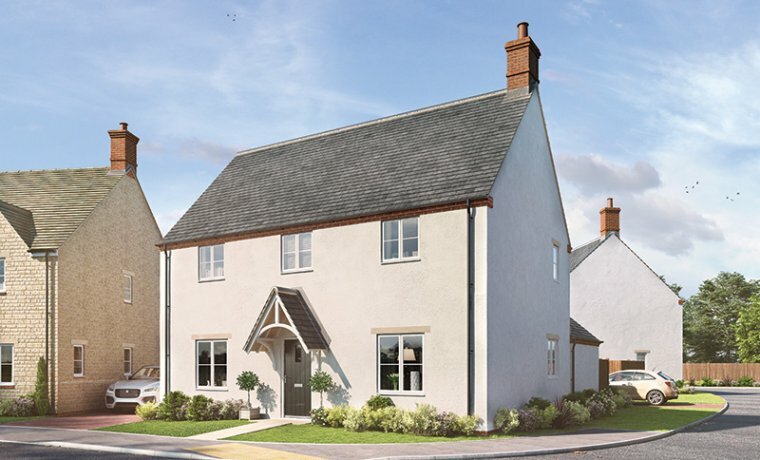 The stunning market town of Woodstock is approximately a 10 minute drive from Tackley, with a wide choice of restaurants, hotels, pubs and tearooms serving food from curry to fine Italian à la carte dining and traditional British fish and chips. Blenheim Palace, a UNESCO World Heritage Site, is just over 5 miles from home with a range of events throughout the year including concerts, vintage car rallies and art exhibitions. For travelling further afield the M40 Junction 10 is a 10 mile drive or jet off from the privately owned London Oxford Airport, just 5 miles away. Every home has been sympathetically designed to blend seamlessly with its existing surroundings. 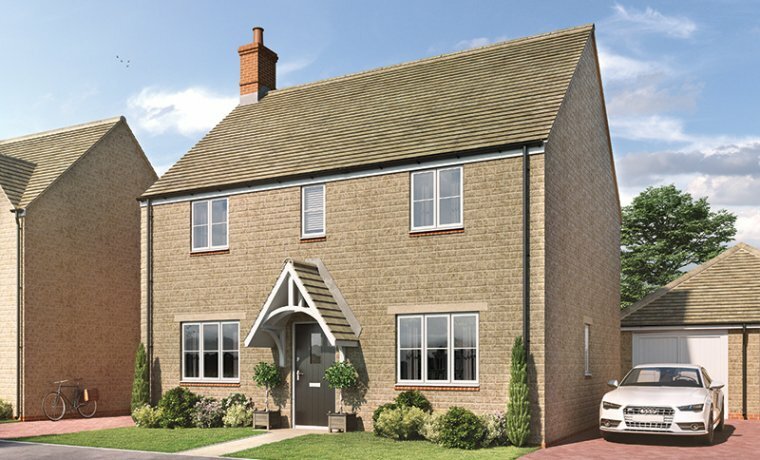 Each new home is constructed of either stone or chalk render. The front doors and windows are uPVC construction which complements the high quality finish. 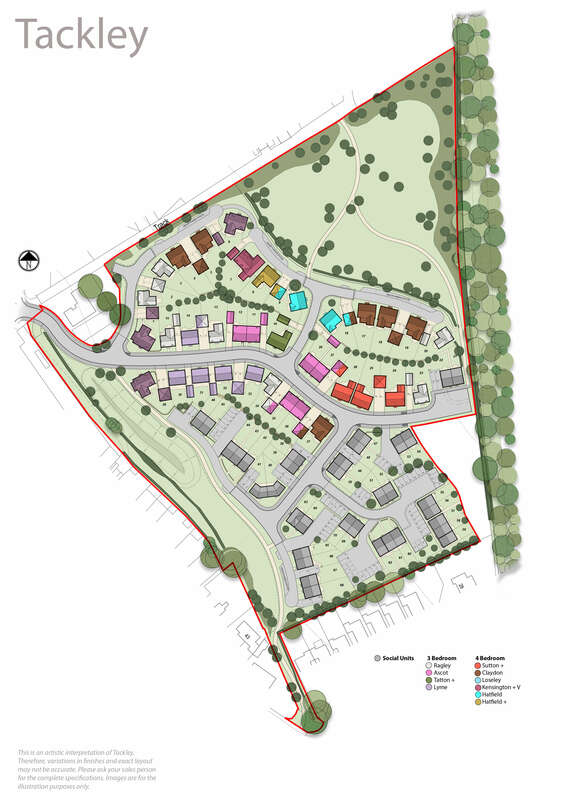 All homes have allocated parking with a block paved finish to driveways, and benefit from a single or double garage. The gardens are landscaped at the front with turf to the rear. Duropal QUADRA laminate worktops and upstands are fitted to all kitchens. These are high quality, fashionable and durable. Resistant to sunlight, scratching, abrasion and stains, and have achieved the FIRA Gold Award for product excellence. Stainless steel splashback and 1.5 bowl sink plus chrome monobloc mixer tap. Every purchaser is able to select the cupboard unit doors and the handles, subject to stage of build. Further personalisation is available from a wide selection of ceramic floor tiles to kitchens and utility rooms (subject to build stage). Sanitaryware from the Laufen Pro S range which has an exemplary reputation for supreme quality is provided as standard to all bathrooms, en suites and cloakrooms. Vado showers are complemented with chrome taps and chrome towel rails to create a modern look. An enviable range of ceramic wall and floor tiling is available to wet rooms, please ask the Sales Advisor for full details.